Hi! 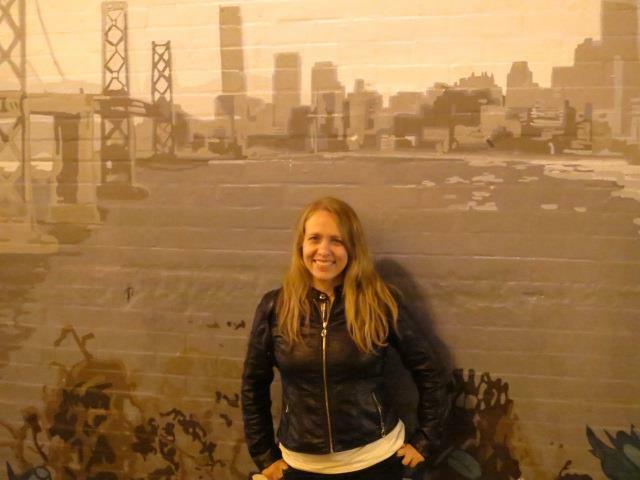 I’m a San Francisco-based writer and editor with over a decade of editorial experience. I was previously Managing Editor at the music subscription service Rhapsody International, and I have also contributed to publications including SPIN, Stubhub!, Yoga Journal, Guitar Player, and AOL. My particular areas of expertise include music, travel, food, nutrition, fitness, wellness, technology, and entertainment. I also run a blog called Big & Small Travel, where my husband and I document our travel adventures. Otherwise, I can be found doing handstands near precarious cliffs, in front of famous landmarks, and amid breathtaking landscapes. Thanks for stopping by! Apologies for the much-delayed response! Thanks for getting in touch. I love your enthusiasm for both music and writing. The best advice I can give is if you want to be involved in music, you’ve got to completely immerse yourself in it, and not just the current trends but the long and fascinating history of music and its many genres, subgenres, trends, fads, timeless legends, one-hit wonders, cult favorites — you get the idea. I personally got a degree in journalism, and many of my fellow music writers have backgrounds in areas like English and ethnomusicology. Just as important as a traditional education, though, is doing your own intensive research and listening, and connecting with other likeminded music geeks. Read music blogs, books, and magazines (I especially recommend getting a hold of old ‘zines and old issues of mags like Rolling Stone and Cream). A next good step is to start something like your own music blog. Find your niche. Go to as many shows as you can. Listen to everything you can. Write about what you love and what you hate. And have fun with it! Let me know if you have any more questions. Best of luck to you!